1986 | Johor Art Society Watercolour Award, Johor. 1987 | Malaysian Watercolour Society Annual Award. 1990 | Malaysian Watercolour Society Annual Award. 1991 | Johor Watercolour Society Annual Award. 1994 | Merilyn Savill Gallery, Wellington, New Zealand. 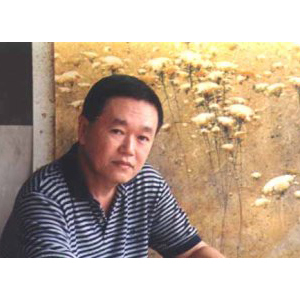 1999 |Seasons, NN Gallery, Kuala Lumpur, Malaysia. 2002 | Seasons 2, NN Gallery, Kuala Lumpur, Malaysia. 2003 | Romance, The Artours Gallery, Brisbane, Australia. 2004 | Harmony, Expressions Art and Entertainment Centre, Wellington, New Zealand. 2004 | Harmony II, Hotel Pelangi, Muar, Johor, Malaysia. 2005 | Journey with Yarrow, NN Gallery, Kuala Lumpur, Malaysia. 2007 | My Pebbles and Wild Flowers, Malaysia. 2008 | Voices of Yarrow, W-Two, Muar, Johor, Malaysia. 2008 | Romance, NN Gallery, Kuala Lumpur, Malaysia. 1983 | MWS Joint Exhibition, Raya Gallery, Melbourne, Australia. 1983 - 1987 | Malaysian Watercolour Society Annual Show, Kuala Lumpur, Malaysia. 1986 - 1987 | Ten Watercolourists on Show, Kuala Lumpur, Malaysia. 1987 | 2nd Asian Watercolour Confederation Show, Taipei, Taiwan. 1988 | 3rd Asian Watercolour Confederation Show, Kuala Lumpur, Malaysia. 1988 | 1st Exhibition of Federation of Asian Art Association, Taichung, Taiwan. 1988 | Invitation Show for International Watercolour Paintings for 1988 Seoul Olympic Games, Printemps Gallery, Seoul, South Korea. 1988 - 1996 | Singapore Watercolour Society Singapore Annual Show. 1989 | 2nd Exhibition of Federation of Asian Art Association, Kuala Lumpur, Malaysia. 1989 | 4th Asian Watercolour Confederation Show, Bangkok, Thailand. 1990 | Malaysian Open Show, Kuala Lumpur, Malaysia. 1990 | Malaysian Tourism 1990 Show. 1991 - 1995 | Contemporary Malaysia Watercolour Show, Kuala Lumpur, Malaysia. 1991 - 1996 | Wellington Society of Watercolour Annual Show, New Zealand. 1993 - 1994 | Penang Museum Watercolour Show. 1995 | Beautiful Malaysia Four Men Show, Kuala Lumpur, Malaysia. 1995 | 10th Asian Watercolour Confederation Show, Bangkok, Thailand. 1996 | 16th Asian Watercolour Hong Kong Confederation Show. 1997 | 17th Asian Watercolour Singapore Confederation Show. 1997 - 1998 | Art for Nature (WWF), Kuala Lumpur, Malaysia. 1999 - 2004 | Wellington Society of Watercolour Annual Show, New Zealand.